Just as some foods clog your digestive system and cause bloating, others regulate your digestion and help flush fat from your system. You can add fat-burning foods to your diet for the short term, but the best long-term method for optimizing your digestive process involves switching to a healthier diet high in insoluble and soluble dietary fiber. Speak with your doctor about any health problems before instituting a new diet plan. One of your top choices for quickly flushing fat from your system is grapefruit. You maximize your fiber intake by consuming it in its whole, fresh form. However, drinking a glass of grapefruit juice provides fat-burning benefits, too. Avoid consuming sweetened grapefruit products, which add unnecessary calories in the form of refined sugar. 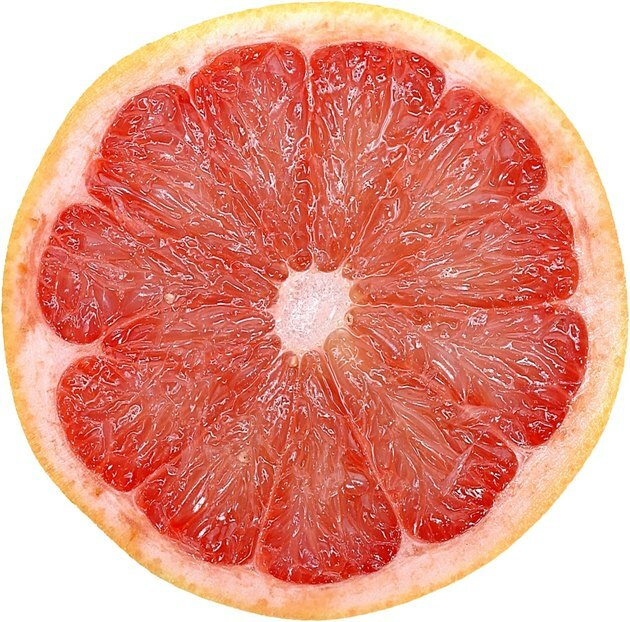 The March 2011 issue of the "European Journal of Nutrition" explains that naringen, a component in grapefruit, stimulates the production of the amino acid carnitine. Carnitine, in turn, enables your body to burn fat at a faster rate, according to the April 2011 "Journal of Physiology." Chili peppers have a unique capacity to boost thermogenesis, or the amount of calories you burn while digesting food, according to the April 2010 "International Journal of Obesity." Capsaicin, the compound in chili peppers that makes them hot, boosts your metabolic rate for up to 20 minutes after you consume them. You can also use chili peppers in place of saturated fat, sodium or sugar to season your gravies, soups and dressings, lowering the fat content and making your diet healthier. Just as fatty, deep-fried foods can clog your digestive system and cause bloating, high-fiber foods can clean out your digestive tract. Eat a diet with healthy amounts of both types of dietary fiber. Sources of insoluble fiber, such as vegetables, unsweetened whole wheat products and nuts, move fats and food through your digestive system. Sources of soluble fiber, such as legumes, citrus fruit, barley, psyllium, oats and apples, regulate your blood glucose levels and fight inflammation, according to the April 2009 issue of "Nutrition Reviews." Food choices alone do not determine your ability to burn or flush fat from your system. You must also consider the way in which you prepare and consume food, advises the American Heart Association. Use lighter and healthier methods of cooking, such as steaming, grilling, baking or broiling, rather than frying, which make foods fatty and likely to clog your digestive system. Whenever possible, consume grains, produce and legumes in fresh, whole forms, making them higher in nutrients and fiber and free of fatty and sugary ingredients. Chew your food thoroughly to aid in the digestive process.